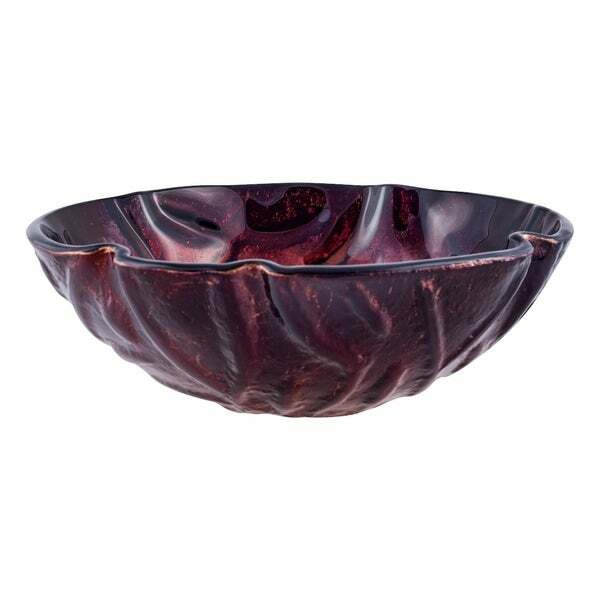 Add a fiery sense of style to your bathroom decor with this maroon and gold vessel sink. Constructed with 1/2-inch thick tempered glass, this vessel sink is made to last. A standard 1 3/4-inch drain opening allows you to find a coordinating pop-up drain and faucet that will ensure a completely beautiful bathroom remodel.